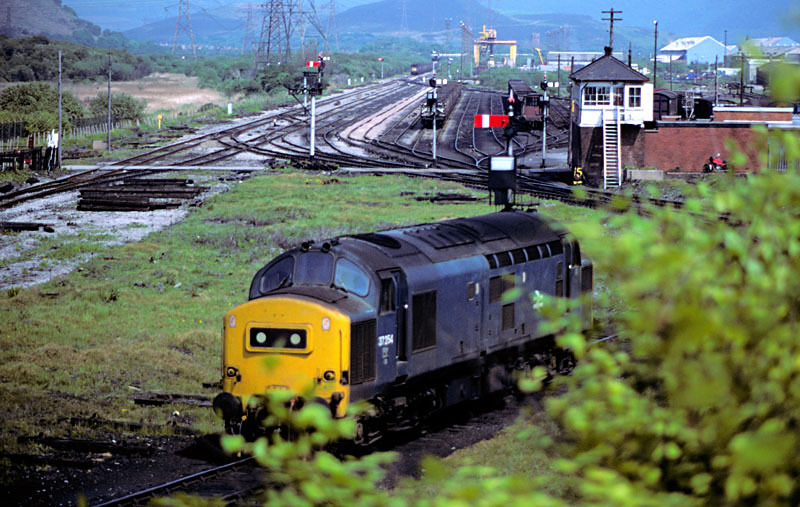 There were still two signalboxes, one each side of a road overbridge, here in 1983. 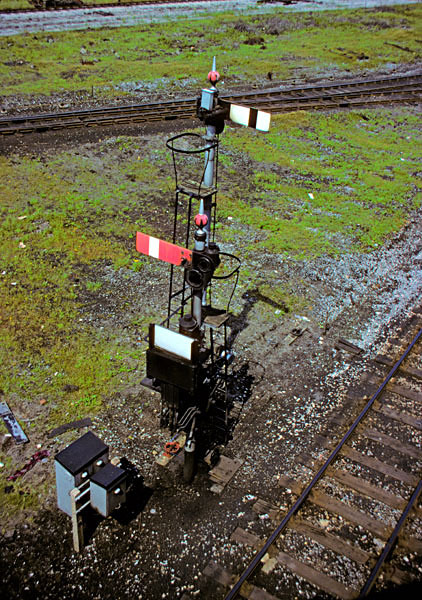 A quite unusual selection of signals - nothing but 3' goods arms and shunting discs, neither a 4' main-line arm nor a distant to be seen anywhere for either box! 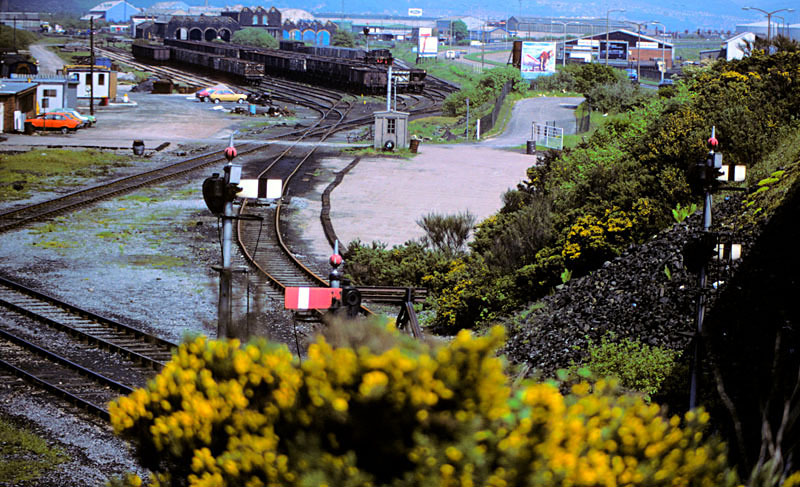 At Burrows Siding there was a goods yard and the line to Kings Dock Junction (bottom right) diverged from a goods line to the south-east of Swansea. 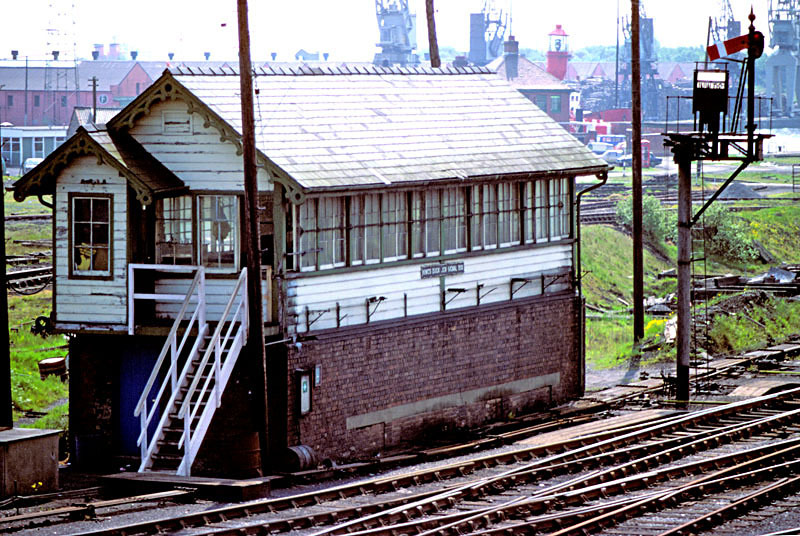 A closer view of the signalbox. 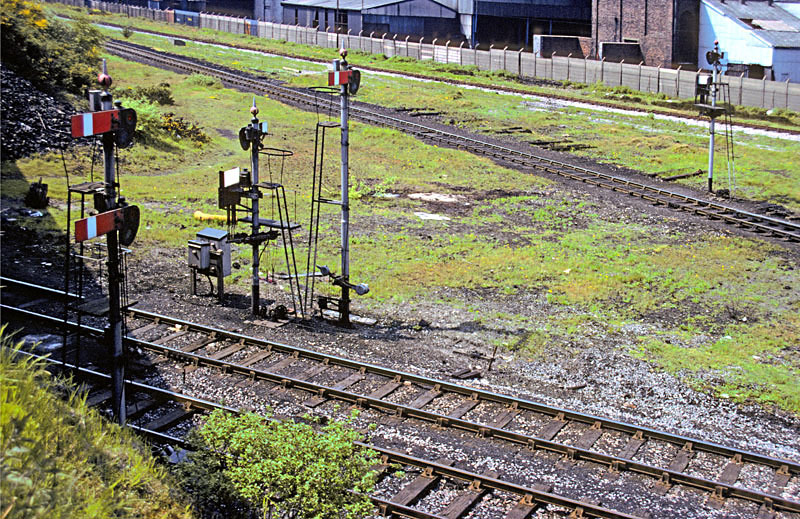 The signals near the road overbridge under which the line ran to Kings Dock Junction. 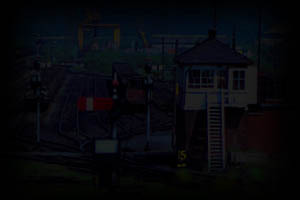 Note the slotting on the signal in the middle, which would only clear if both boxes had pulled their respective levers. 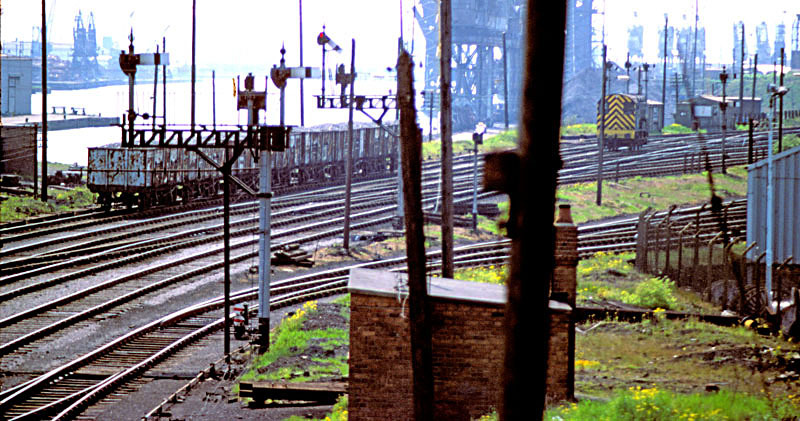 The signals for the up Kings Dock line, from the other side. The other half of the goods yard. 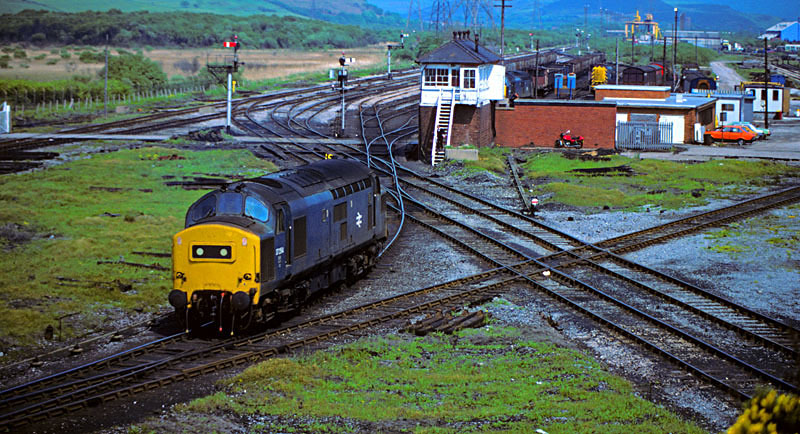 The No 1 set of sidings. On the other side of the road bridge was Kings Dock Junction. 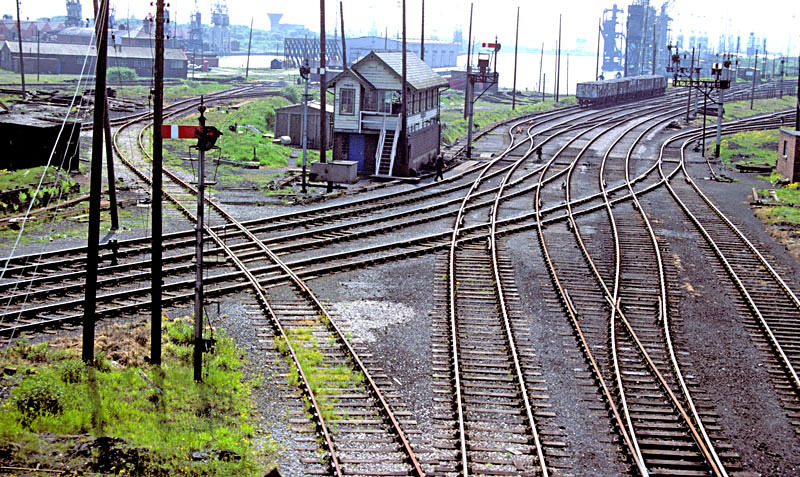 The sidings on the north side of Kings Dock. A view from closer to the road bridge over the lines to Burrows Siding (bottom right).